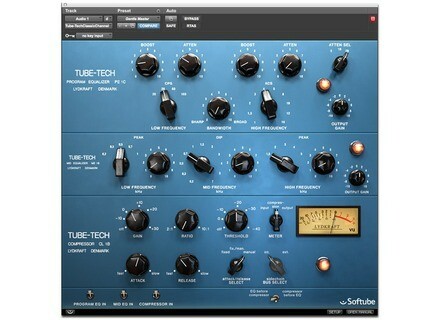 Tube-Tech Classic Channel Bundle, Software channel strip from Softube in the Tube-Tech series. The Tube-Tech Classic Channel is a vintage channel strip. The Classic Channel Bundle is a combination of three Tube-Tech classics: The CL 1B compressor, the "Pultec" PE 1C equalizer and its companion, the midrange ME 1B equalizer. The Classic Channel comes as a bundle of four plug-ins, the three separate units plus an extra channel strip plug-in which contains all three. 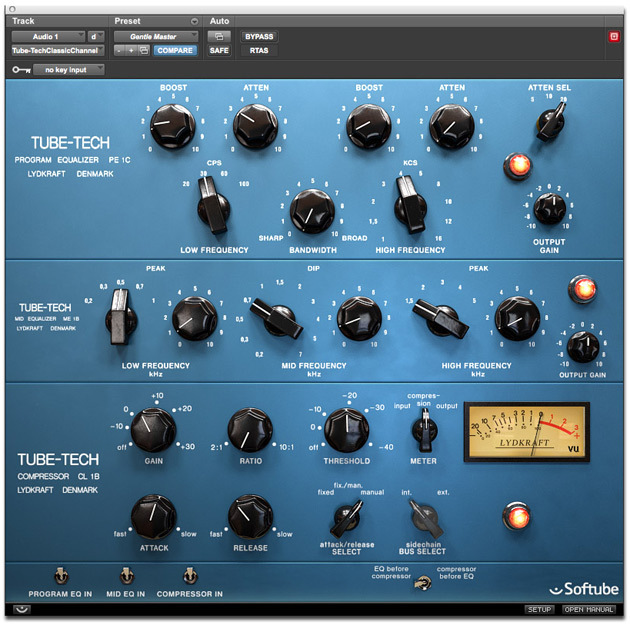 Tube-Tech Classic Channel Bundle is available at a price of $699 through the Softube web store or authorized Softube dealers. Also available as a separate product is the Tube-Tech ME 1B for $199. For those of you who already own the CL 1B and/or PE 1C it is possible to upgrade to the Classic Channel at a reduced cost. Soundprovocation Vocalotheque Vocalotheque is a sampler instrument, made from recorded samples of a vocal ensemble (5 men and 5 women). Ueberschall Dubstep Ueberschall releases its Dubstep collection with 38 Construction Kits and 1,432 loops and samples. RTS MADI-16 Plus RTS presented the MADI-16 Plus scalable multi-channel audio digital interface card at NAB 2011.